DuPont has announced the shortlist of finalists of the 2013 DuPont Safety and Sustainable Awards, an initiative intended to reward companies for their innovative programmes that have made their workplaces cleaner and greener. 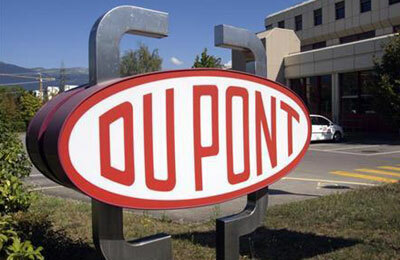 Last year, DuPont called for applications to the 11th annual DuPont Safety and Sustainability Awards. Project applications for the award have been pouring since last September from more than 17 countries across a wide range of industries. The winners will be announced at the DuPont Executive Forum scheduled on September 24 in Dubai. Companies from the Mena region showed strong nominations and accounted for almost half of the finalist’s slot. “The 2013 edition of the DuPont Safety and Sustainability Awards have seen a higher representation from companies in this region than ever before,” said Johan van der Westhuyzen, director, DuPont Sustainable Solutions, Turkey, Mena. “Entries this year were up by 72 per cent. They were very impressive and wide-ranging; the independent panel of judges had a difficult task in selecting the finalists,” added van der Westhuyzen.